Central Vermont offers great things to do in every season. This region is home to the Green Mountain National Forest, The stunning Quechee Gorge, and many maple sugar works. Cozy inns and full service resorts offer every kind of luxury and relaxation. Enjoy the best biking, hiking, golf, tennis, boating, fishing, swimming in warmer weather and skiing, snowboarding, ice skating and snowshoeing when winter sets in. 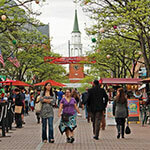 Discover the many fairs and festivals with arts, crafts and antiques, visit local farms, and savor great food, beers, wines and cider. With so many activities at this popular year round resort, the challenge is deciding what to do first. 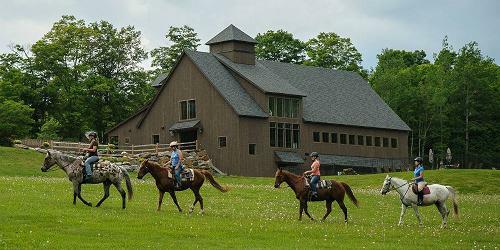 It might be hiking, biking or horseback riding on 350 scenic acres overlooking the Green Mountains. Boating, fishing, swimming and paddling await in the 740 acre lake with your own private beach, while cross country skiing, snowshoeing and horse drawn sleigh rides are pleasures of the winter season. You can always relax by the pool or in the brand new spa and you’ll have several choices for classic and luxury lodging and fabulous cuisine in the dining room, tavern or on the terrace. The resort is affordable, family and pet friendly and the perfect escape for a romantic getaway. It's your choice, so go ahead! Summer and winter at Lake Morey Resort provide endless activity in a magnificent natural setting. In summer, there’s a peaceful 600 acre lake for circumnavigating on foot or by bike, swimming, paddle boarding, canoeing and kayaking, water skiing and 18 holes of championship golf. 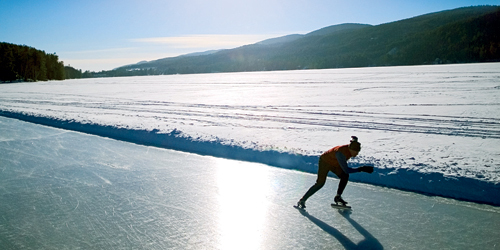 In winter, the snow and ice and open space invite you to a Nordic trail system and pond hockey, snowshoeing and ice fishing and a 4.5 mile loop around the lake on the U.S.’s longest maintained ice skating trail. Minutes away is downhill skiing. There are organized guest events, an indoor pool, fitness center and on-site movie theater. 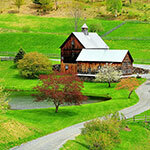 There are charming towns, farms, shopping and more to explore on self guided day tours. And just a short hike, drive or bike ride away, more vacation experiences to last a lifetime. Morse Farm is four-season, every day fun. The Woodshed Theater has displays and artifacts and a humorous and educational video about the Morse Farm maple process. There’s a nature trail, country store, and an outdoor farm life museum with an antique replica of the Vermont State House. Sprinkled about the farm are whimsical carved soft sculptures created by Burr Morse. A maple trail leads to the trees where the 200 year Morse farm experience continues. 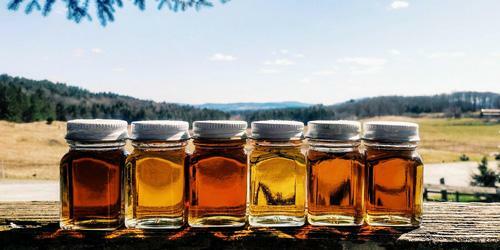 Savor samples of Vermont Maple syrup, jams and jellies, and you’ll find local crafts and gifts. In the winter, the Ski Touring Center has cross country and snowshoe trails, sliding, snowmobiling and skating. 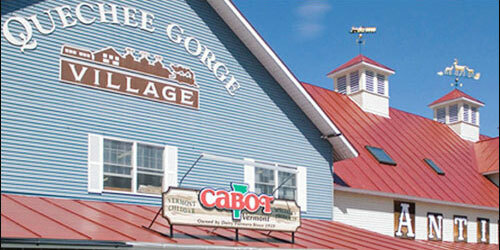 And later in the season it’s Sugarin’ Time and the Sugar House will have its annual maple tastings. Here it is - the original Ben & Jerry’s factory in Waterbury, Vermont. You’ll sample great ice cream and take some home but you can also take a 30-minute guided tour and learn about these most interesting fellows who became leaders in socially responsible businesses. And you’ll discover how the company sources the finest ingredients to produces its popular flavors. Come by any day but during the week you’ll also see the production team in action. Before leaving, you’ll enjoy a generous sample of the flavor of the day and stop in at the scoop shop to savor your favorite flavors or try a new one in a cup, cone, or milkshake and if you dare, take on the Vermonster! You have hit the jackpot for dining and shopping pleasures when you make you way to Artisans Park at 71 Artisans Way in Windsor. This charming retail community is a collection of eight unique Vermont businesses all located in the same park. 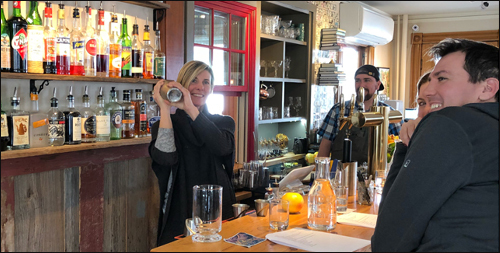 Here visitors will find Harpoon Brewery, where you can enjoy a craft beer surrounded by beautiful mountains; SILO Distillery , an adventure zone of unique spirits from Vermont grains; Vermont Farmstead Cheese Company Market , Artisan Eats, and Blake Hill Preserves. Fun dining and gift shopping in a peaceful park. Quechee Gorge is one of New England's most popular natural wonders. The 165-foot cleft in the mountain and its plunging stream can be seen from the Route 4 bridge and neighboring paths. When you are sated by the natural beauty, man-made fun is accessible at the adjacent Quechee Gorge Village at 5573 Woodstock Road, Quechee.. Twelve small shops sell artisan crafts like gold jewelry, alpaca clothing, antiques, home décor, gifts, and spa products. Visitors can chat with artists as they work. 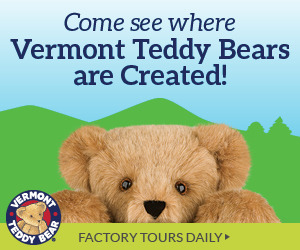 The Vermont Toy & Train Museum has added several new exhibits. You can rent Segways and take a ride. Woodstock’s Farmhouse Pottery, at 1837 West Woodstock Road, is a retail store and studio where gorgeous and useful ceramic art is created right in front of fascinated visitors. Each piece is wheel-thrown and crafted from stoneware and hand dipped in a scratch-resistant and organic milk glaze. Many elegant items, including cookware and tableware, home décor and even clothing, are made with fine materials, incorporating restrained beauty and simplicity. Gift registry, too! Open year, round, daily. 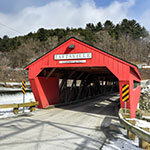 Central Vermont is great not only for its snow sports and mountain walks. The shopping is also delightful. Two proofs of this theorem are DaVallia Gallery at 39 North Street in Chester, and DaVallia Art Boutique at South Main Street on the Village Green, also in Chester. 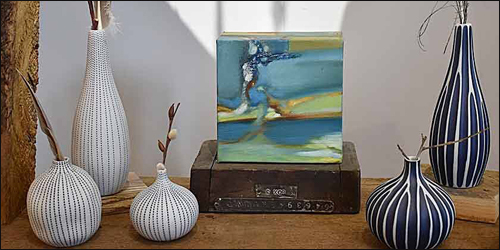 The owners curate works from dozens of artists in jewelry, local art, furniture, home décor, ad garden sculpture. 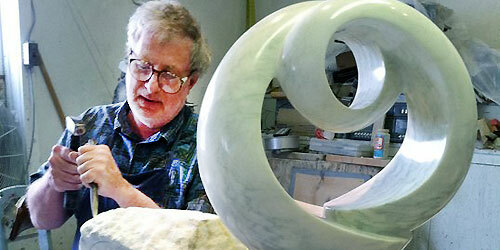 Inspiring and creative designs spark your imagination and make your home beautiful (802-875-8900). Moving on to Ludlow, the Blue Sky Trading Company at 160 Main Street is a fun and very useful source for vacationers and local people, where you can find affordable jewelry, pottery, candles, Vermont goods, souvenirs from your visit to the Green Mountain state’s ski region, maple syrup, greeting cards and gifts. (802-228-2280). 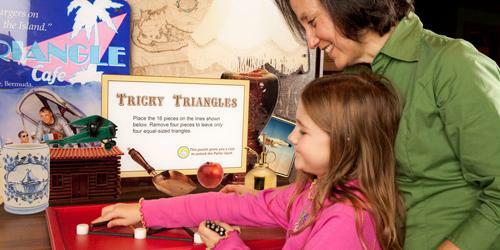 The 100-acre Montshire Museum of Science at 1 Montshire Road in Norwich really means it when it calls itself a hands-on museum, so bring those kids who cannot keep their hands (or curiosity) to themselves. The spacious and light-filled building on the Connecticut River holds exhibits with enticing names like Air and Weather; Creatures; Light and Sight; Puzzles, Shapes, and Things that Move; Water and How It Moves. Outdoors, visitors can explore a science park, woodland garden, and nature trails along the river. There is always something new to entice kids and parents. 802-649-2200.